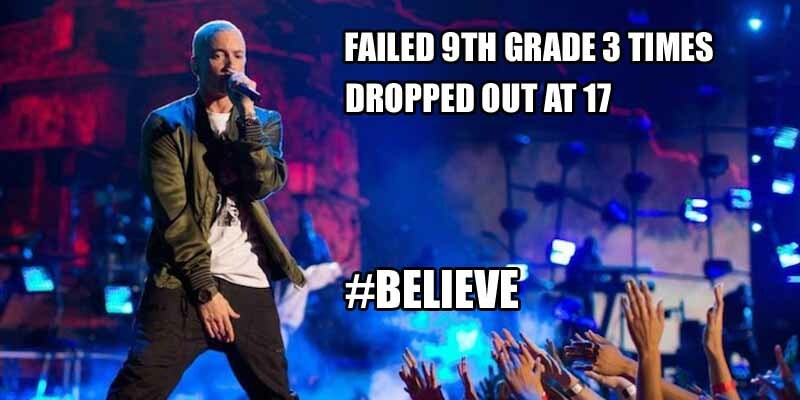 In several songs, Eminem mentions failing ninth grade three times, which he did before dropping out of school at age 17 mostly due to truancy, not caring and wanting to focus on his rap career. He did have an interest in English, but wasn’t too fond of literature. The only book he has read in his life from beginning to end was the LL Cool J autobiography I Make My Own Rules.